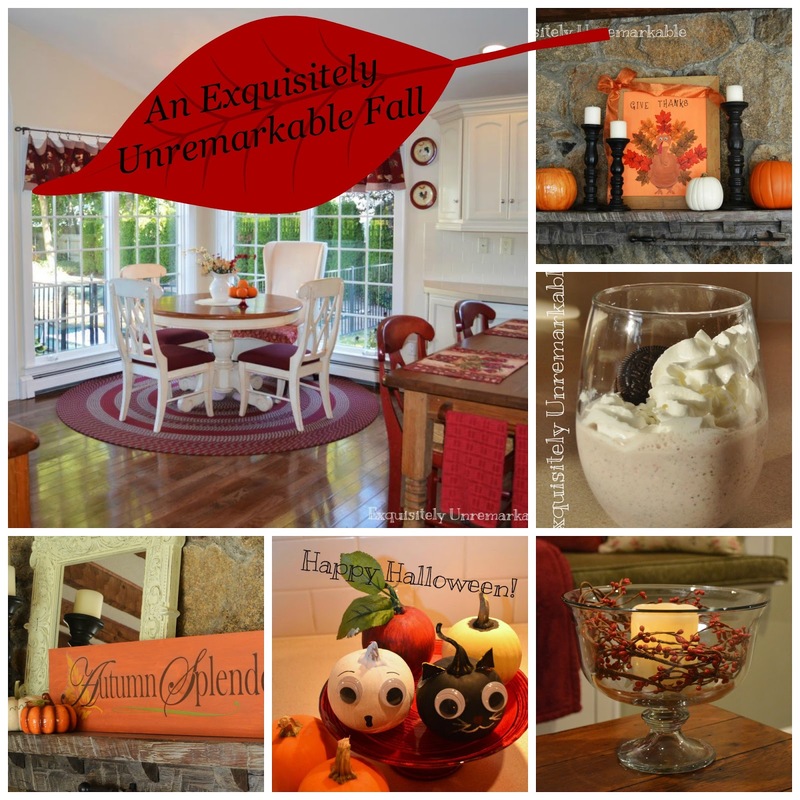 Come check out these crafts and decor tips for fall. Easy and inspirational! October was a very busy month, it just flew by! November is upon us, leaving no doubt that it's fall. There is a definite chill in the air, the leaves have turned all sorts of bold and eye catching colors and have begun to tumble, Halloween has come and gone and Thanksgiving is a mere twenty four days away. For me, fall has always been a creative time, a month to reset my home as we have come back indoors for the majority of the day. I spent most of October feathering my autumn nest. 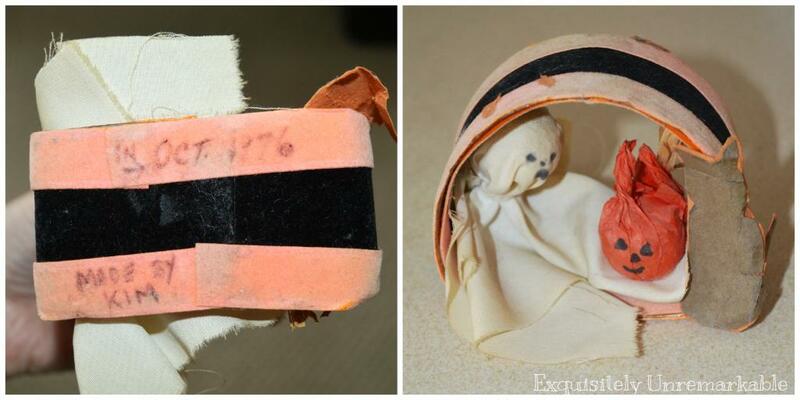 Of course, there were a few other fun things tossed in for good measure...did you miss any? I (finally) took you on a tour of kitchen! Of course it's changed here and there over the years, but it's still red. That will never change! I uncovered a treasure that shows exactly how long I've been crafting! (shhh!) I think I liked Halloween much better back then...but then again, maybe not! I warmed up a few rooms with some very simple candle dressing. Candles are the best thing about fall in my opinion. I "cheated" again to create this sweet sign with a $1.99 wall sticker! Why stencil anything when you can slap on a sticker and get perfect letters every single time? 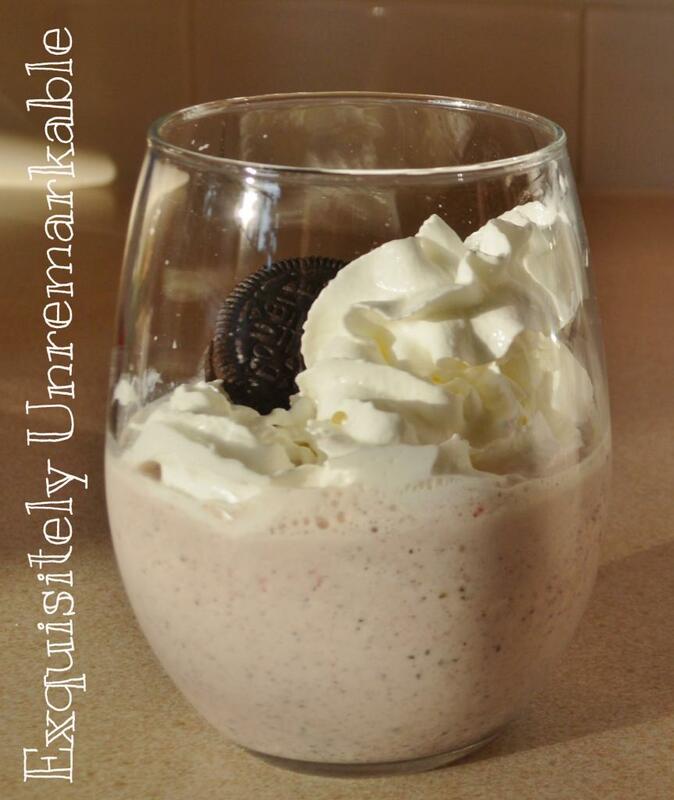 I shared the "recipe", and I use that term loosely, for our Oreo Banana Milkshake Smoothie! I wished you all a Happy Halloween ~ in a Bah Humbug kind of way! 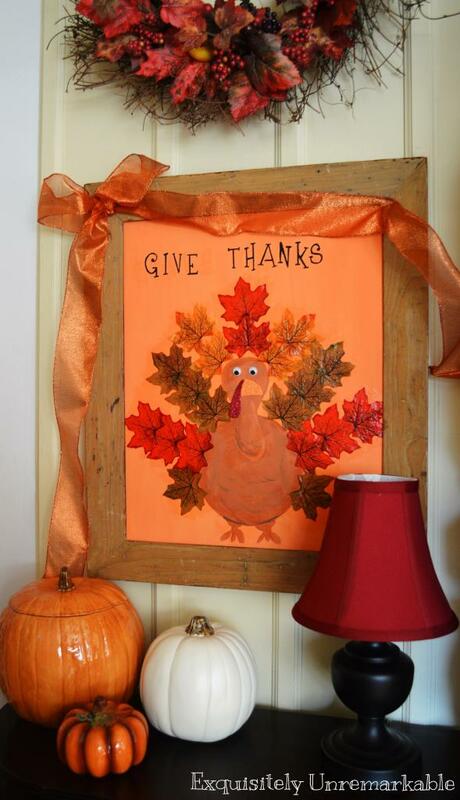 ...by sharing the how to on my Autumn Leaf Trash to Treasure Turkey! I love to know which posts people enjoy the most, so please share! It's okay to pick favorites! I'm really enjoying all your special touches of Fall, Kim. I loved the kitchen tour and think your stove hood is gorgeous! Thanks so much for visiting my blog. I probably would have turned down the offer of the Friendship Bread starter when my kiddos were little, too, but I never heard of it WAY BACK then! Thanks Carol! That was sweet of you to pop over! The kitchen seems to be high on everyone's list! Too bad I only have one! :) Maybe I can post about me making a Friendship Bread starter IN my kitchen next! What a great recap of the month, Kim. I really LOVED the kitchen tour and think it was probably my favorite post of yours for the month. Thanks Diana! 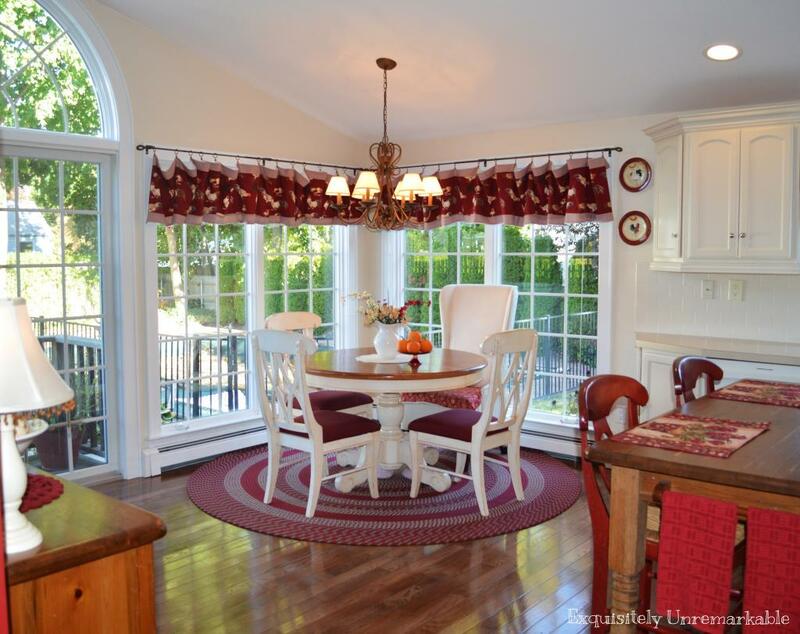 I really do love the kitchen, too! Of course, I'd like it a lot more if it always looked the way it does in the post pictures and not the way it does right now (dishes in the sink, shoes on the floor, homework and backpacks everywhere else)!! I love your dieting idea~ that mole rat cake is truly icky! Although I am sure that it tastes delicious...um...if you could get the fork past your lips! AND I am pea green over your wreath loot! I NEVER win anything...I think I need to enter more giveaways! I agree, Dee! I am always so drawn to those beautiful white on white rooms, but I try it and it just doesn't feel right. I need color! 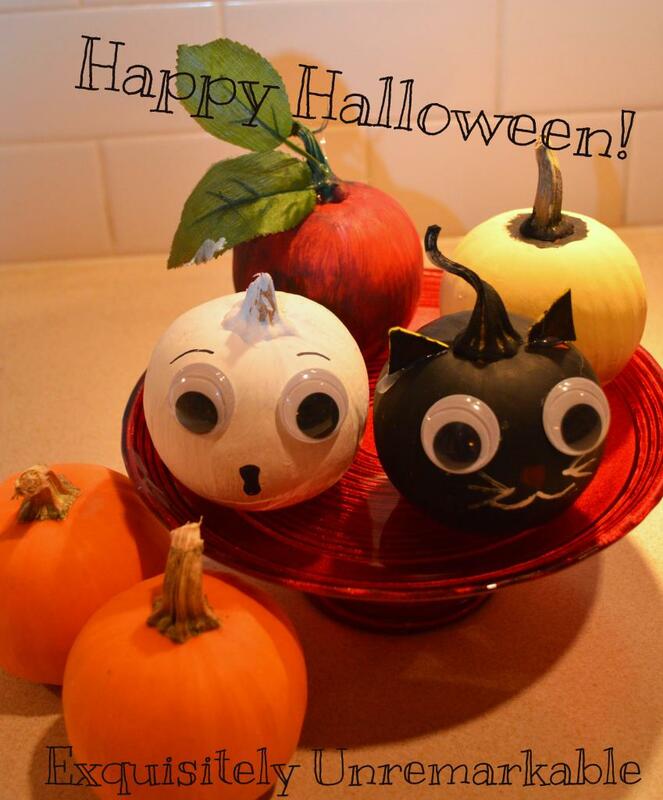 Maybe you and I should just stick to those white pumpkins instead! ;) Thanks for leaving a comment! It always makes my day! That oreo smoothie looks delicious! The wreath is lovely and so is the candle with the red trim surrounding it. Thank you Patty! I like the candle with the red berry vine, too...sometimes the simple things are the most stunning! Well, you know how much I love your kitchen, Kim. And the red accents are delicious. So my vote for a favorite has to be that. I'm just really happy that I found you so I can get great ideas for my own nest. Your candles, for example would definitely brighten things up here. (No pun intended.) Hugs, Nancy. I love the crafts and recipes, keep em' coming! Thanks so much, "Andy"! I'm gearing up for the holidays! October was a great month!! Loved all your posts!! I am afraid November is going to whiz by, too, Diane! I haven't even started folding book pages for your pretty paper Christmas trees, yet! I thought for sure I would be done with them by now!! All of these posts were pretty, but for me, it's a no brainer: THE KITCHEN! Reasons are all obvious, (if you know my style and favourite colours). Just a charming place to hang out and chat over coffee! Poppy, you are in good company, everyone seems to love the kitchen! If you are ever in the states, let me know~ the coffee invitation is always open!